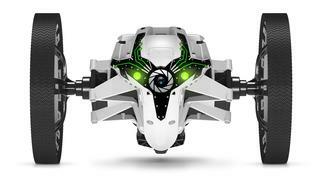 This acrobatic two-wheeled superyacht toy can leap up to 80cm in the air, spin sharply on its axis and perform pre-choreographed sequences at speeds of over 4mph, all via Parrot’s remote control FreeFlight app. The Parrot MiniDrone Jumping Sumo also has an operating range of 50m and a front-mounted VGA camera providing a gratifying first-person perspective of your onboard driving skills. As for battery life, it musters a full 20 minutes between charges. The sheer breadth of this wrist-mounted computer’s subsea capabilities is astonishing. At its core, the Aeris is a hoseless air-integrated computer that can provide real-time, colour-coded readouts of how much breath you’ve got left in the tank. 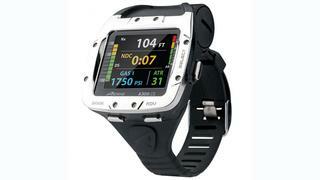 Added to this are a three-axis digital compass and the ability to sync your dive data via Bluetooth to any PC, iOS or Android phone, and choose the decompression algorithm that best suits your diving needs without compromising safety. Oh, and it tells the time. The Astell&Kern AK240 sound system is a damn fine piece of kit. A slab of darkened metal; heavy, but not excessively so, the touchscreen solid, but sensitive. Its buttons clunk like a Bentley’s door and the sound is as good as it gets. Essentially, it’s giving you audio so uncompressed that you’d have to be a robot to spot the difference between this and vinyl. Just make sure you have the headphones and speakers to do it justice. Nauticam designs and manufactures water-resistant, ultra-rugged hardware for some of the finest photographic apparatus on the market. 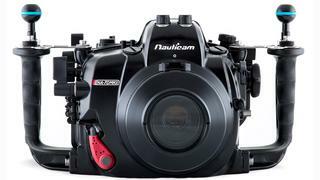 A case in point: the Nauticam NA-A7 is designed to accommodate Sony’s exemplary full-frame mirrorless A7 range. Milled from solid aluminium with steel brackets and rubberised switches, it ensures safe, easy access to image settings at depths of up to 100 metres. An internal moisture alarm has also been built into the chassis. 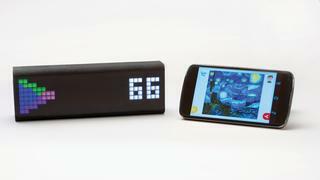 A pocket-sized wireless ticker that relays just about any data you can imagine, from real-time share indexes to Instagram likes, the LaMetric comprises a pixelated dot-matrix ticker screen capable of retro-style animations (from thunder clouds to rolling text), a built-in speaker to alert you to new info and two buttons for scrolling between your desired metrics. The data feed is managed by a free iOS app. 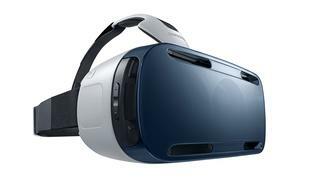 These portable virtual reality goggles use Samsung’s super-sized Galaxy Note 4 phone and a range of partner apps to create an immersive, 360-degree 3D cinema experience. Once you’ve secured the handset to the front of this Oculus-powered personal virtual reality device, its built-in sensors detect your head movement and adjust what you can see on your “screen” accordingly. The results of this superyacht toy are eerily vivid, particularly when viewing live performances where you can now literally see all around you.